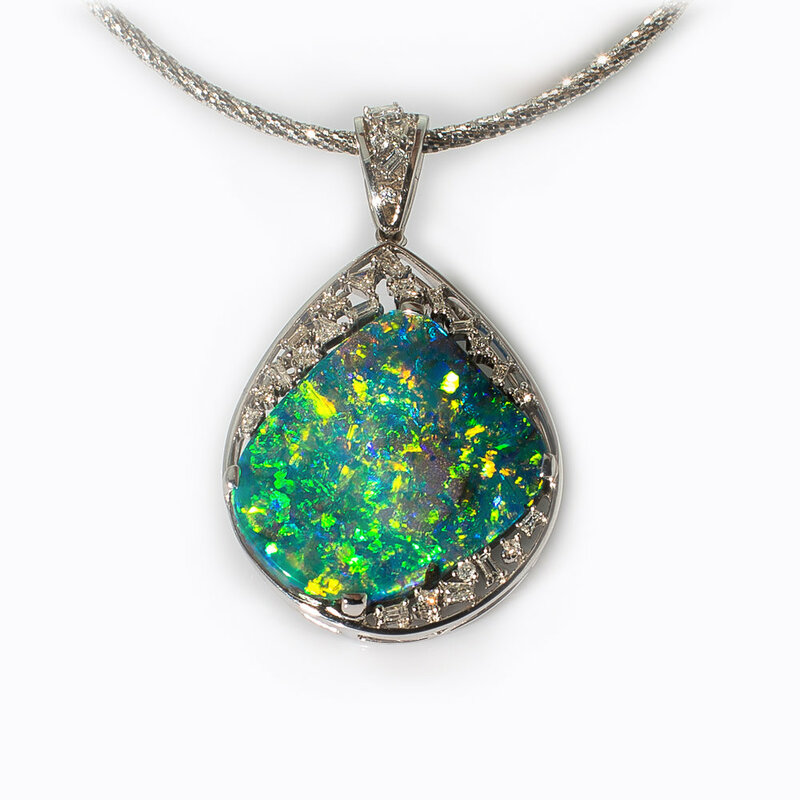 Altmann + Cherny buy their Opals directly from the Opal miners. They design and manufacture their jewellery and are able to maintain the highest standard of quality control throughout the entire process. The extraordinary artistic talent of Fiona Altmann, John Altmann's Granddaughter, is highlighted in her stunning jewellery designs. The shape and colour of the Opal is carefully considered when designing the setting to highlight all the beauty of the Opal. For that precious Australian memento these bespoke pieces are available for viewing at the Altmann + Cherny Showroom, 18 Pitt Street, Sydney. Mysterious Opals contain the wonders of the skies sparkling rainbows, fireworks, and lightning, shifting and moving in their depths.